2018 has started in a similar fashion to how 2017 finished. The average 30-year, fixed mortgage rate charged to 4.04 percent this week, up from 3.99 percent the week prior, according to Freddie Mac’s Primary Mortgage Market Survey® (PMMS®). 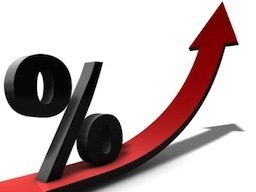 The 15-year, fixed rate averaged 3.49 percent, up from 3.44 percent the week prior, while the five-year, Treasury-indexed hybrid adjustable rate averaged 3.46 percent, the same as the week prior. If rates continue as indicated, the home buying season may come early as potential homebuyers look to jump on the last set of historically low rates. From our perspective; all charts point to several Fed' increases in 2018 and 5% mortgage rates on the horizon.